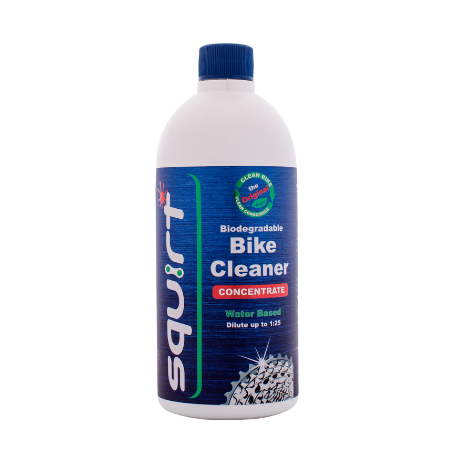 Squirt Bike Cleaner is a concentrated & biodegradable bicycle cleaner. The concentrate can be diluted to 1:25 and still produce a heavy-duty cleaning solution. It is water based and does not contain any organic solvents. 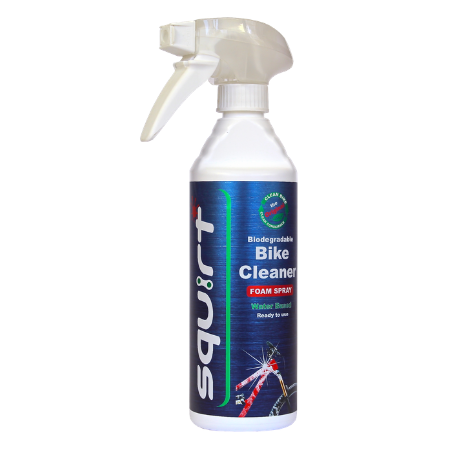 Concentrated bike cleaner in 60ml bottle ideal for race-packs and giveaways. Can also be used to refill spray bottle. 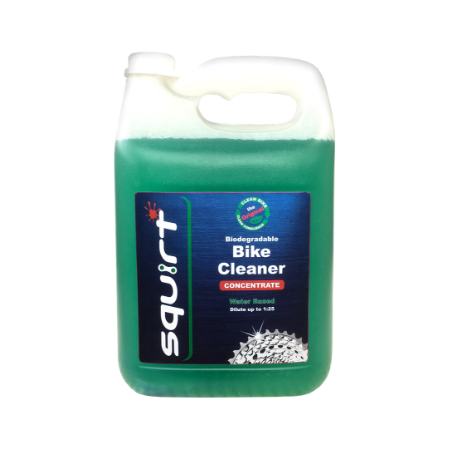 The 5L concentrate is more economical and for workshops and sponsorships on big events, especially for events with bike-wash areas.